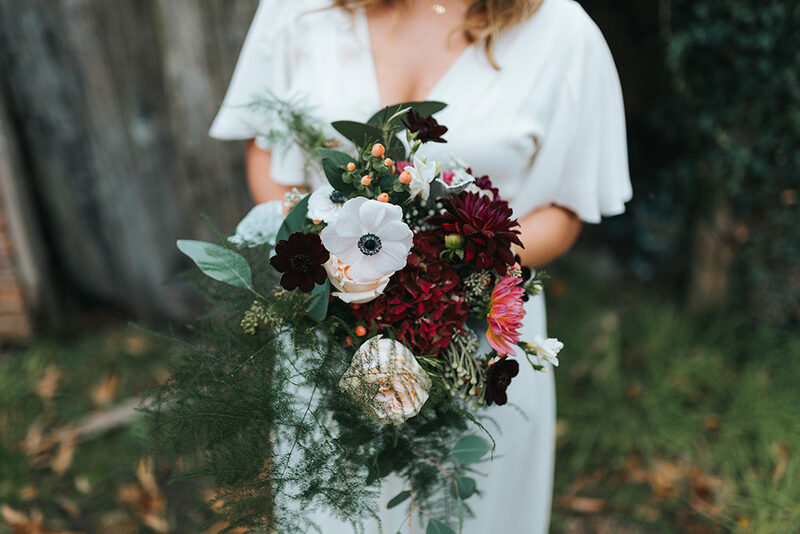 It may have been the first day of Spring yesterday but that doesn’t mean we’re not totally in love with the gorgeous Autumnal hues at this rustic barn wedding. 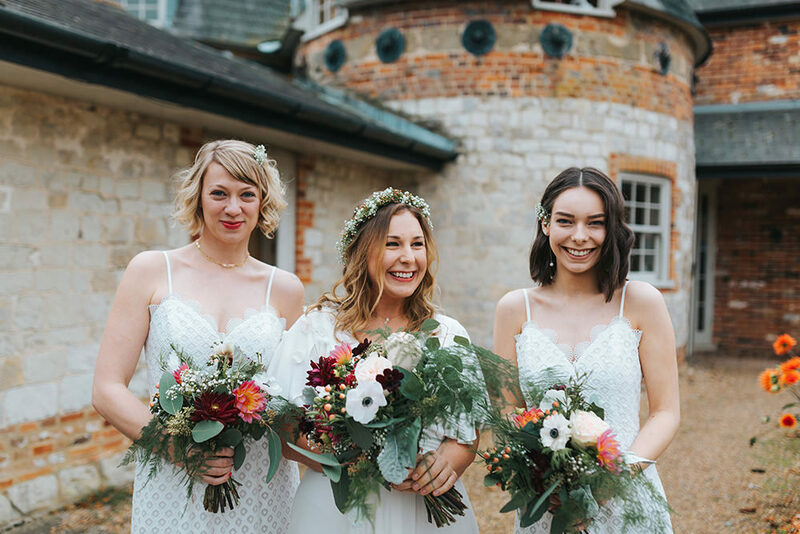 The deep red and greenery blooms bring The Barn at Bury Court in Surrey alive and pop against the bridal parties crisp white dresses of dreams. 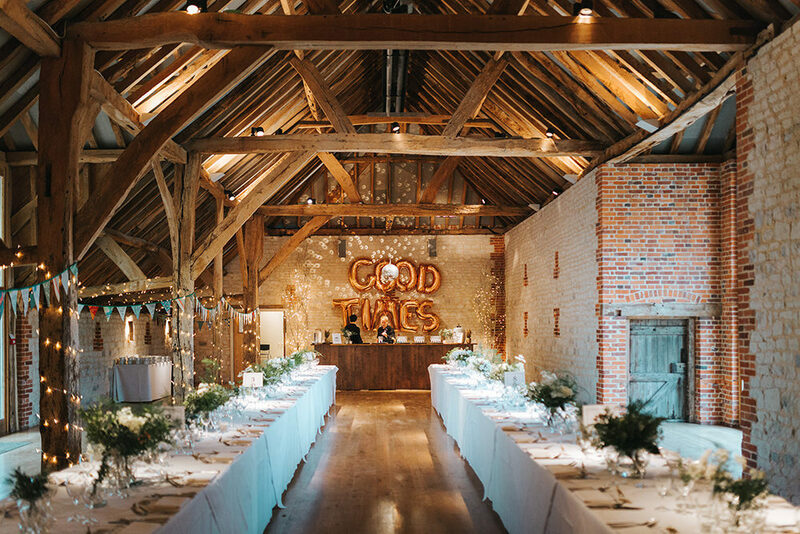 I’m also absolutely smitten with the giant copper foil ‘Good Times’ balloons framing the top table, a sure sign of what was to come at their relaxed boho celebration. 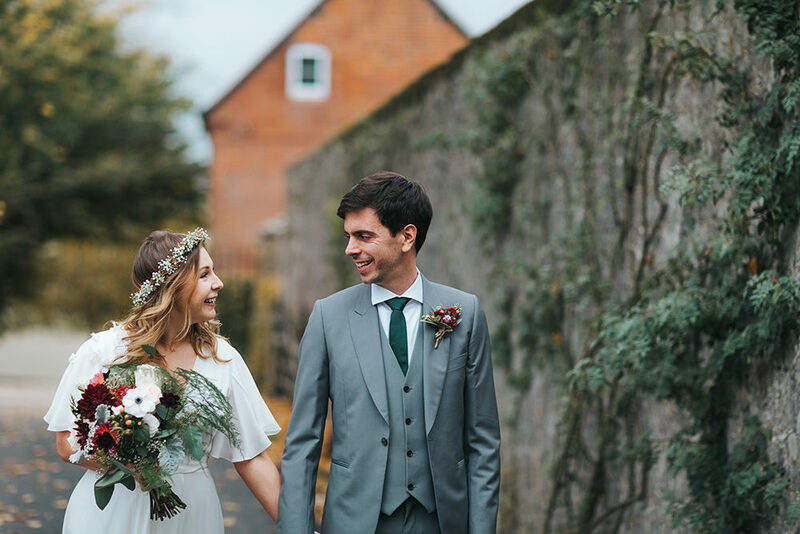 Wait until you see the first look portraits by Miss Gen too, not only are they absolutely adorable but they allowed the couple some quality time together before their ceremony started, it also ensured they could devote themselves to their guests post nuptials, such a lovely idea. Rhianna the Bride: We met eight years ago through a mutual friend. It took us ages to get together but from that very first date we’ve been inseparable ever since. We got engaged in Thailand whilst Robbie was spending a few months travelling in Asia between jobs. We were engaged for 18 months before we finally got married. 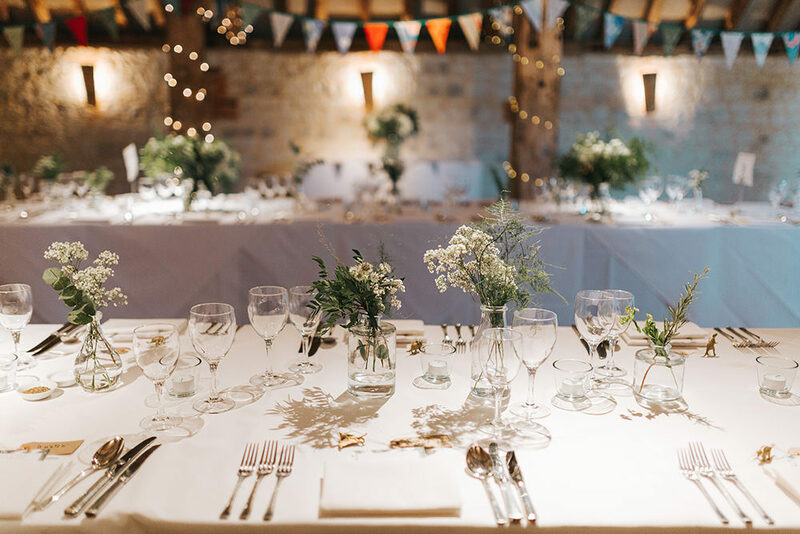 The most important thing to us was making sure our guests were comfortable, and well fed and watered. We wanted the whole day to feel relaxed, with no ferrying people from location to location. Robbie has always wanted a Paul Smith suit so the wedding was a perfect occasion for a three piece that was more party than office wear. My dress was chosen online from Minna, a small Finnish studio based in Brixton. I chose the dress because of its simplicity, ankle length (no muddy train!) and the fact that it moved beautifully. Sadly the dress was far too big when it came and I was crestfallen. Luckily my tailor stepped in (Munerva at Image) and transformed the dress, making the sash and pulling it in in all the right places to make it a truly special dress. I chose Charlotte Olympia pom pom heels because I loved how playful they were – they were super comfortable too. I bought the shoes as soon as I had the ring on my finger! 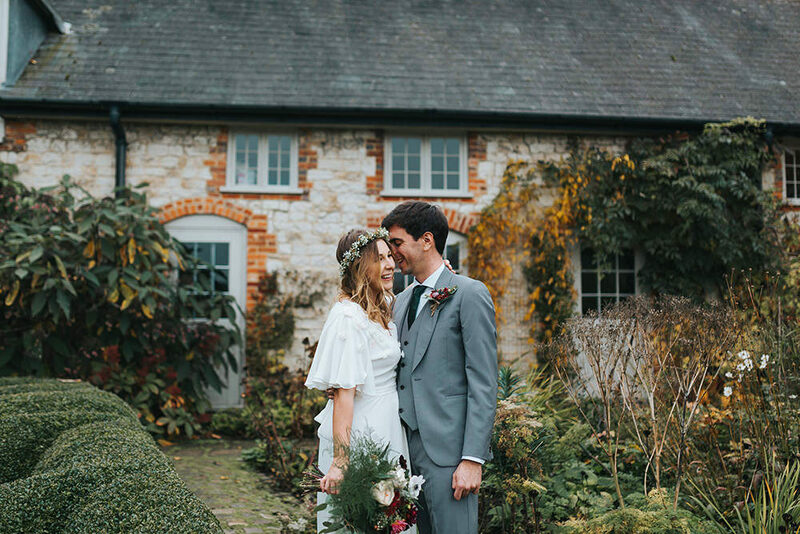 My floral crown was made by Lavender Hill Florists and I wasn’t sure what to expect on the day as I hadn’t given much of a brief, but it was gorgeous! In the evening I swapped the crown and heels for gold Sezanne dancing shoes (vintage T bars) and a Swarovski crystal and pearl hairband from Erickson Beamon. I wanted rich autumnal plums, with peach and berries and asparagus fern for the boutonnieres and bouquets. The decorative flowers were bought wholesale from Triangle Nursery (who were so helpful) and put together by my mother in law Libby with an army of helpers. We bought the glass vases from Ikea. We just kept our ceremony simple – we chose the most modern vows and didn’t have any readings. 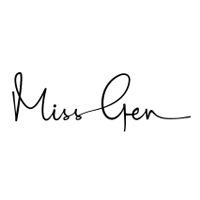 I had seen Miss Gen’s work before getting engaged and always had her in mind. There really was no other photographer we even considered. 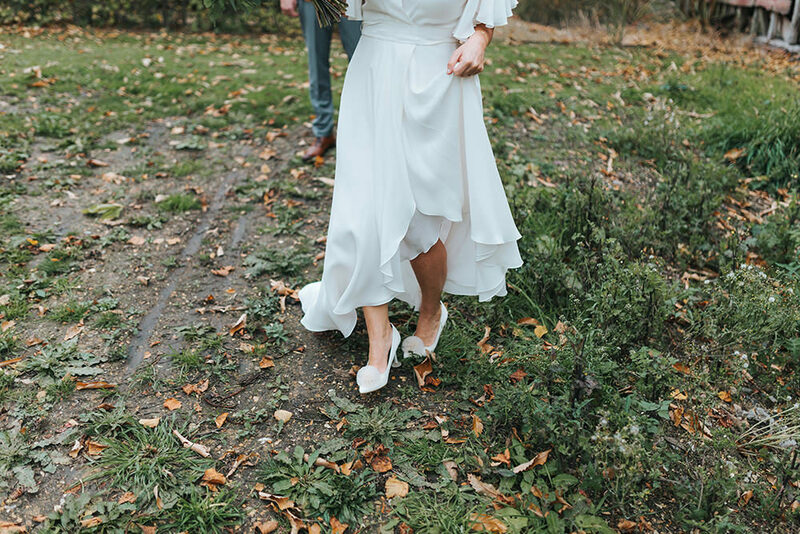 I think Gen has a very unique style but it totally adaptable, so no two weddings ever look the same yet her style is recognisable. Gen captured every moment of our day, and looking at the photos is like watching a documentary, yet I barely ever saw her! She was incredibly discreet and completely professional. The photo against the blue door immediately after the ceremony, champagne in hand is our favourite photograph. We used this image for our thank you cards. We both love old disco and soul so these choices seemed fun. I barely heard any of the ceremony music though with the nerves and excitement! My husbands speech blew me away! 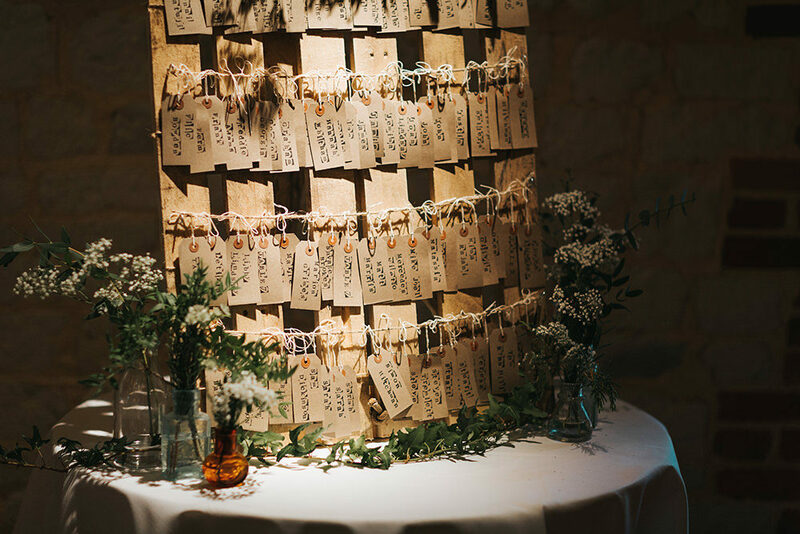 Say yes to every offer of help – planning and executing a wedding is a huge task. Friends and family will want to help and accept all offers with grace! It’s a cliche, but find time together to look out onto your party at your guests and take in what you have created. Love the Good Time balloons – where are they from?